Beauty Mark fabric window awnings available in a variety of styles, sizes and colors designed for both residential as well as commercial use with the larger sized awnings being very appropriate for commercial usage. Several models are also designed for use as door canopies with commercial sized valance structures available as well. The Beauty Mark fabric is warranted for five years and utilizes very strong UV monofilament threads versus the polyester threads used in a number of other awnings. The stronger threads help to prevent UV deterioration and protect against the elements including mold. All framework is designed to be weather resistant using either powder coated steel or structural aluminum to prevent any rust leakage onto the awning fabric. Although these beautiful awnings are guaranteed for five years with a little bit of maintenance they will last much longer plus it's nice to know that replacement fabric is always available whenever it's required. 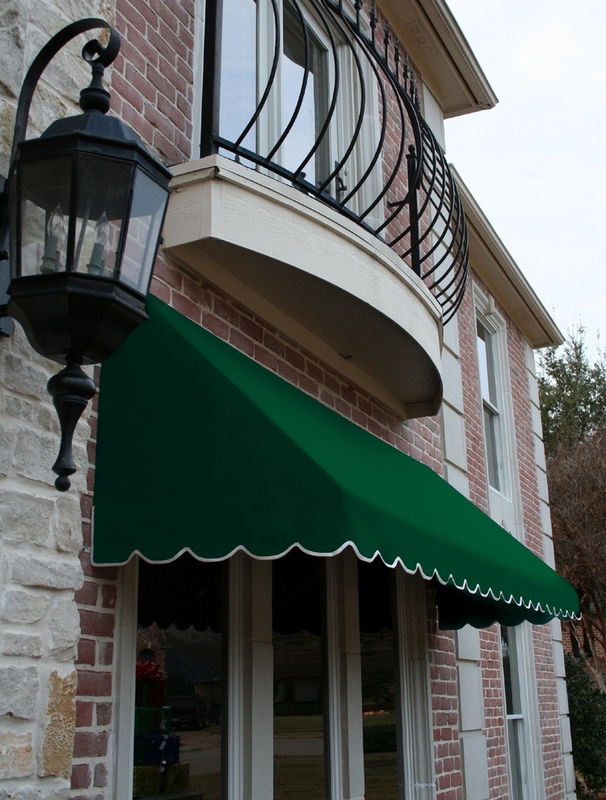 These window awnings have a number of options available to them including five uniquely styled valances. By the way all valances are sized at eight inches for the residential awnings and ten inches for the commercial awnings. From a color standpoint you will find these awnings available in a combination of fifty solid and striped patterns making them easy to color coordinate into most any environment.